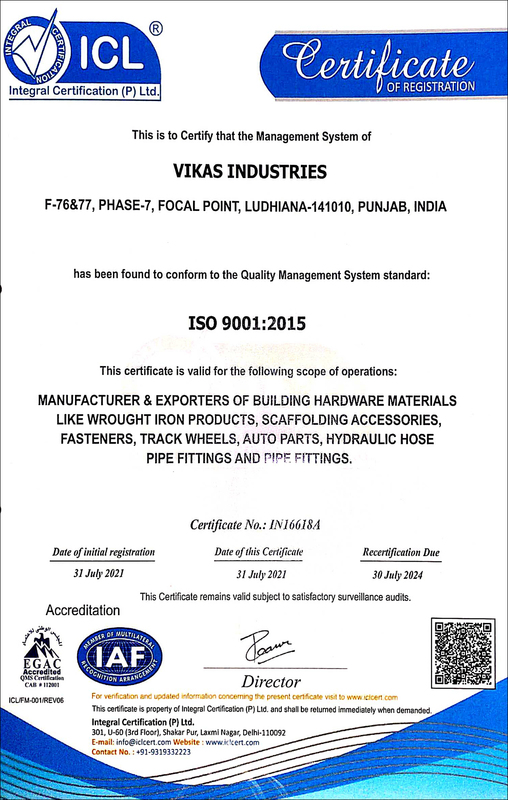 Being ISO 9001:2015 certified company, Quality has always remained a priority with Vikas Industries and is never compromised on under any circumstances during manufacturing of wrought :iron components, gate grill parts and steel railing products. Thorough quality checks are incorporated at all the levels, right from the stage of the purchase of gate grill's raw materials, till the dispatch of the final ornamental iron goods for market sale. 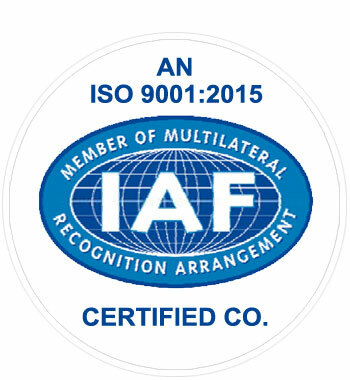 We strictly adhere to industrial norms and international quality standards. A team of quality inspectors keeps a strict vigil on all the processes of all wrought iron products to ensure the production of only flawless products without any defects. At Vikas Industries, all the departments such as marketing, service, production, stores, fabrication, accounts and administration are independent having precise input and output. 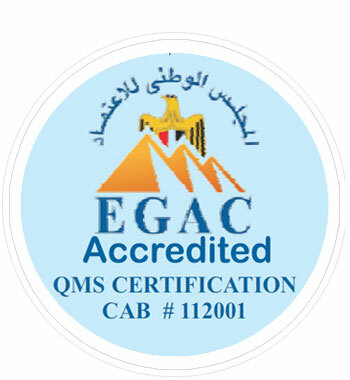 We ensure that quality is maintained at all levels of gate grill parts manufacturing at our organization. Apart from laying emphasis on the quality of the wrought iron component products, we also lay an equal emphasis on timely delivery of our consignments to all our clients all over the world. Each piece is individually inspected meticulously to ensure that it meets the desired quality standards. Today Research & development is become an important aspect in wrought iron hardware industry and it is also a prime part at Vikas Industries. We follow new methods which leads to continuous improvement in our existing fencing and railing products manufacturing system. We are doing research and product development new designs of gates, fencing and railing with latest tools and state-of-the-art technology which help us to gain international standard. We have become one of the leading manufacturers and exporters of wrought iron products & accessories, cast iron & cast steel flowers and leaves, wrought iron spear points finial, railheads, cast iron collars, studs, post tops, bushes, wrought iron baskets, ornamental rosette panels, scroll, ring, hammered tubes, forged bars & pickets, stamped steel leaf, track Wheels, sheet panels, gate accessories, scaffoldings, door hardware goods, pipe hangers, ubolts, gate fittings, complete range of wrought iron components and parts etc.